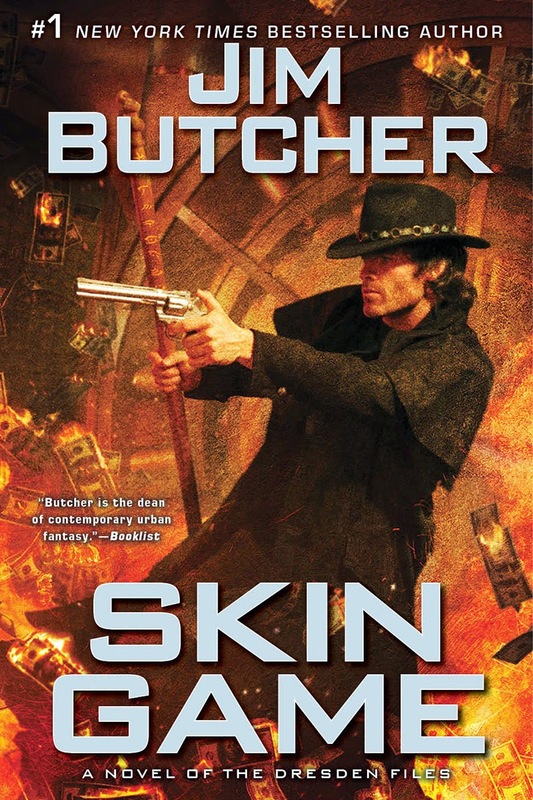 We conclude our readthrough of Jim Butcher's uber-popular urban fantasy series The Dresden Files today with book fifteen, Skin Game. We made it, guys! We did it! High five! So we've reached the latest volume of the series, and I have to say that, after seeing how it was going in the last volume, I thought this was quite the step backwards. The basics of the story are still the same, as Harry is still the Winter Knight under Mab, but the difference here is that we're essentially getting Dresden's Eleven, as we are now in the midst of a pretty significant heist story. I'm usually fine with the way these individual books toy with existing tropes and conventions, but I found that this specific type of story just didn't work so well with me. I felt like there was a little more fanservice than usual combined with some left field-style scenes (most notably with Hades and Cerberus) that didn't really work for me. It's weird. 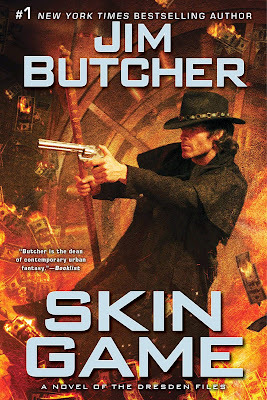 The problem with my whole viewpoint on this, though, is that Jim Butcher's strength in this area is also his weakness. He's great at balancing out the urban fantasy with the encapsulated tales that toy with these different ideas and genres, and when it doesn't work, it really feels wrong and weird. I just want more from it, I guess, and, especially with how excited I was for this volume, it might just hit me wrong even more. Of course, now I get to wait a year plus for the next volume. After reading one a month for the last year plus, that wait is going to feel crazy. Maybe it's time for the Codex Alera? The Fruitless Pursuits Christmas ADVENTure!